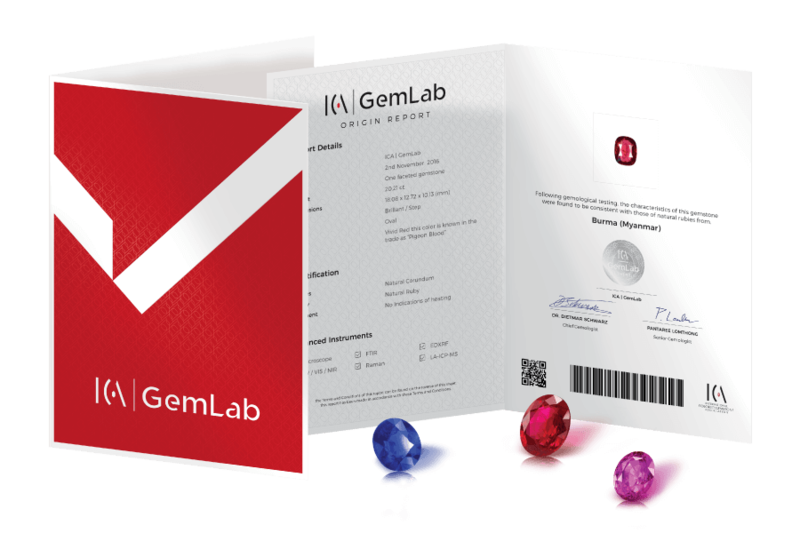 The Origin Report verifies the authenticity of gemstones, identifies whether they have undergone any treatment (e.g. heating), specifies the stone’s origin and determines their trade color whenever possible. All Report prices are given in United States Dollars (USD) per stone. These prices maybe subject to change. To place an order, please contact ICA | GemLab Thailand to submit your stones. Orders above 20,000 USD for customers within the Silom area (Bangkok, Thailand) will receive free shipping. Minimum submission is one stone for the Origin Report.